Mayweather vs. McGregor went down in Las Vegas on Aug. 2017 and was a highly lucrative bout for both men. Having made the move across to the squared circle, “The Notorious” was expected to leave his boxing career on ice for a return to MMA. Mayweather, who had not been taken seriously when he repeatedly suggested he would be open to a rematch with the 29-year-old inside the Octagon, looks set to be crossed off the list of potential opponents… for now. “I am happy for Floyd and his recent announcement that he is out of these current fight negotiations,” McGregor wrote. “It is the reason I never seeked the rematch in the first place. I was happy for him in retirement. 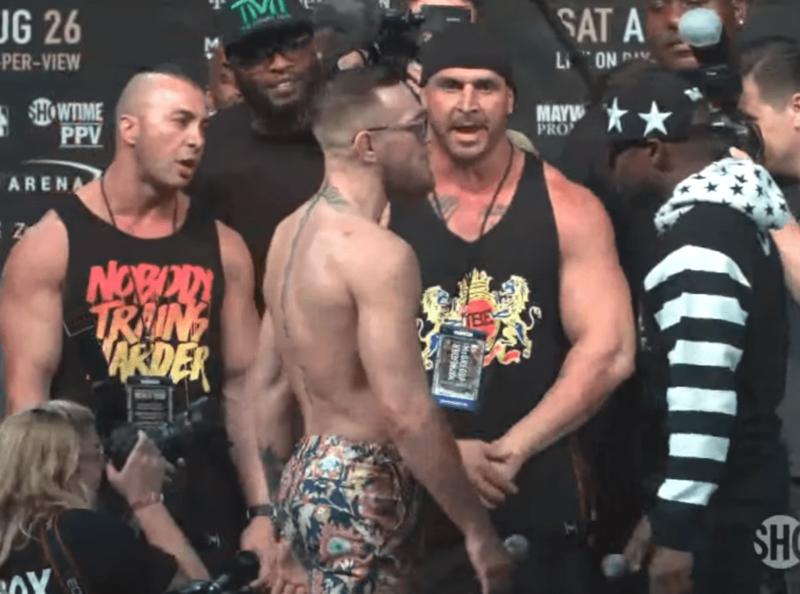 It is still unclear if there were negotiations, to begin with, but this will come as somewhat encouraging to those who are hoping the mercurial Irishman will make a return to competitive MMA. With Tony Ferguson currently holding the interim lightweight title, and set to defend it against Khabib Nurmagomedov in April, the prospect of the UFC’s biggest star heading back to the promotion looks a little better, at least. Blaydes also claimed that he would see Miocic as the greatest heavyweight of all time if he can manage to see off the challenge of Cormier. “I think Stipe wins, though, because he’s a very confident striker and I think he’s an underrated wrestler,” Blaydes said. “Well, he shouldn’t be underrated because we all saw what he did to Ngannou, and personally I got the opportunity to train with [Miocic] early on in my amateur career a couple years ago, and we went at it with the wrestling, so I definitely respect his ground game. And I know he has cardio because we used to do cardio practices and he would just kill it.